I know Gizzy and I had an AWESOME turkey day (read: drinks) and we hope you did, too!! 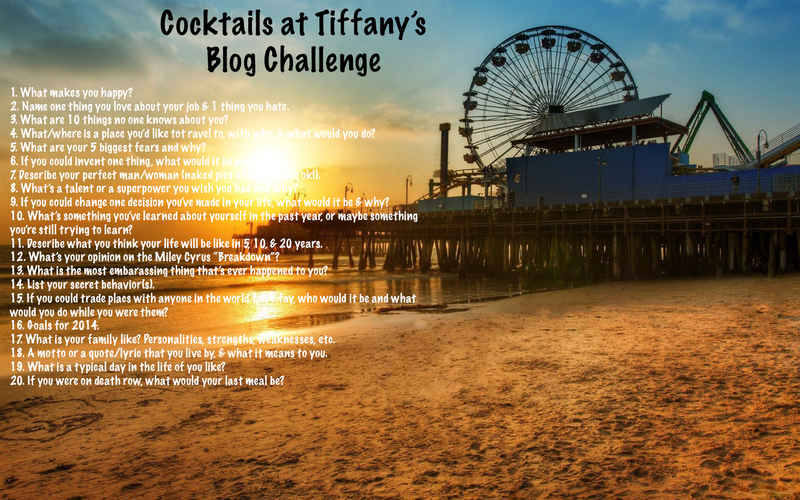 As I mentioned a while back…we’re thinking of doing a blog challenge, and we ARE DOING IT!! We’ll start the posts on December 1, and go until December 20. Below are is the challenge…hope to see y’all join in the fun! Name one thing that you love about your job & 1 thing you hate. What are 10 things no one knows about you? What/where is a place you’d like to travel to, with who, & what would you do? What are your 5 biggest fears & why? If you could invent one thing, what would it be & why? Describe your perfect man/woman (naked pics of hotties are ok!). What’s a talent or a superpower you wish you had & why? If you could change one decision you’ve made in your life, what would it be & why? What’s something you’ve learned about yourself in the past year, or maybe something you’re still trying to learn? Describe what you think your life will be like in 5,10, & 20 years. What’s your opinion on the Miley Cyrus “breakdown”? If you could trade places with anyone in the world for 1 day, who would it be and what would you do while you were them? What is your family like? Personalities, strengths, weaknesses, etc. A motto or a quote/lyric that you live by, & what it means to you. What is a typical day in the life of you like? I know I will get some sort of prize since I am only one doing this challenge but I guess that is life. I hope the moderators of the challenge do it cause that would be so great. 🙂 Any way check out my blog for the Blog challenge answers.